We are proud to be part of the Motability Scheme, giving customers with a disability access to a car that is ideally suited to you. If you are eligible for the scheme, you can swap your government mobility allowance for the lease on a brand new Honda car. We have Motability offers available on a wide range of Honda vehicles, ensuring affordable and hassle-free motoring. You can find out more and browse the available models on the following pages. 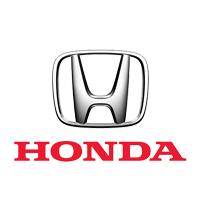 Please get in touch with the Motability specialists at Gatwick Honda & Redhill Honda to make an enquiry.